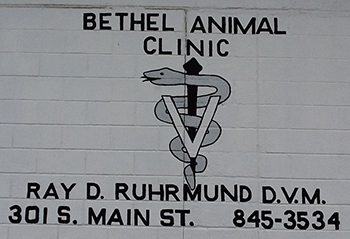 Bethel Animal Clinic was founded in 1976 by Dr. Ray Ruhrmund. We have been serving patients in the Miami Valley from the areas surrounding New Carlisle, including Springfield, Tipp City, Troy, Huber Heights and Fairborn, for more than 35 years. We have a reputation for honest, fair service which is focused on you and your pet. Dr. Ruhrmund, or “Doc” as you know him, has a real way with pets and cares deeply for their well-being. 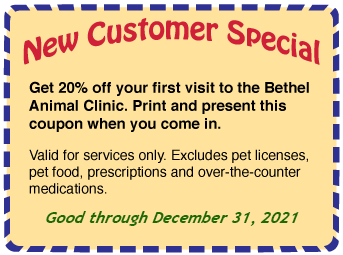 Bethel Animal Clinic operates as a full service small companion animal hospital. We focus on routine preventative care, detection of problems as they arise, and treatment through nutritional, medical and surgical care. We all love our pets, and we know you do as well, so we will work with you to get your pet the necessary services and personal care they need to be healthy and happy.